Today, Z-Man Games (Pandemic, Terra Mystica), has announced that it’s heading into the digital realm with its popular board games. To accomplish this task, Z-Man Games has created a new company, F2Z Digital Media Inc. Having its own dedicated team, F2Z will be a completely separate company whose goal will be to develop and launch digital versions of Z-Man’s board games (as well as titles from its partners). As of right now, they look to be developing games for iOS (iPad and iPhone). No word yet if they will be expanding into the Android realm. I’m pretty excited to hear that the first game to be released by F2Z will be Pandemic. 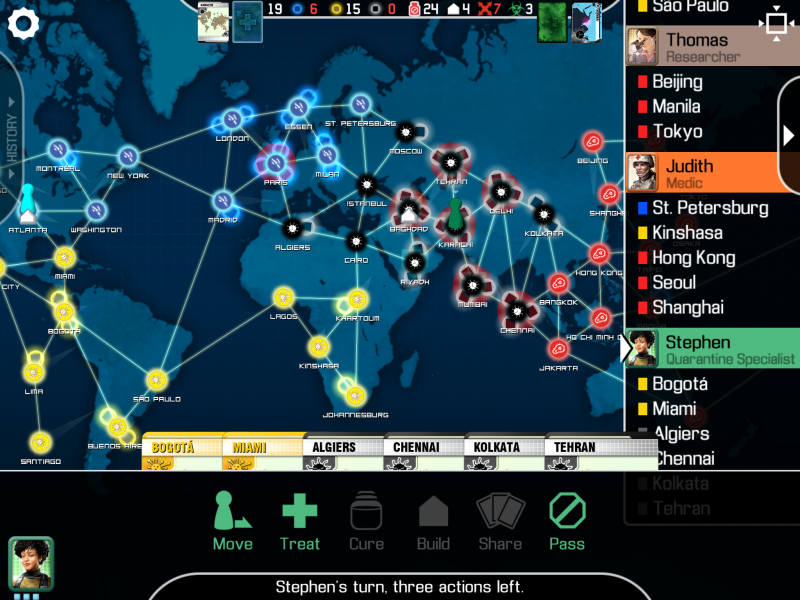 If you’ve read our review on this cooperative game, then you know we are big Pandemic fans. They haven’t announced a release date for the digital Pandemic yet, but Z-Man says it’s currently in development. Z-Man makes a lot of games I really enjoy so this is great news. I hope the digital versions of the games have the same polish that their tabletop brothers do. You can read Z-Man’s full press release here. I’ll leave you with a screen shot from the upcoming Pandemic for iPad. Enjoy. 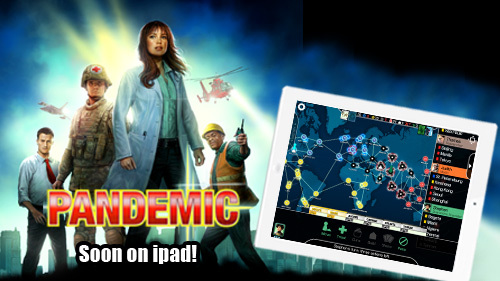 Pandemic is coming for iPad and I’m itching to try it out!